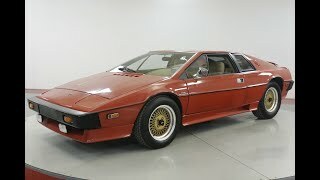 Hi, I am interested in your 1977 Lotus Esprit (stock #MHM3167) listed on Autotrader for $33,900. I'd like to get more information about this vehicle and confirm its availability. The Lotus Esprit is a sports car that was built by Lotus Cars at their Hethel factory in the United Kingdom between 1976 and 2004. It was among the first of designer Giorgetto Giugiaros polygonal folded paper designs.